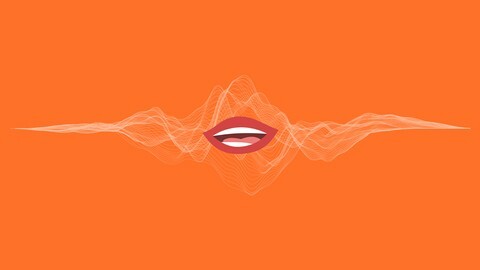 Here are the best voice app and chatbot development courses available today. Learn to build Amazon Alexa skills, Google Assistant Actions, Apple Siri Apps, chatbots and more. The following courses are available through the learning platform Udemy, which occasionally has huge discounts on courses, some costing less that $10. The courses are often written by industry leaders with real practical experience designing and building the technology, so you get very high quality training from true experts in the field. The courses I’ve selected are very fresh too, so you know you’re learning the latest techniques. These courses cover all the fundamentals of how to build custom Alexa Skills, teaching you how to use Node.js 8.10 and the latest Alexa Skills Kit SDK v2 (ask-sdk) to build conversational applications. You will learn how to use lambda functions (serverless computing), and store user information using external databases like AWS DynamoDB and Amazon S3’s Storage API. You can learn to use Amazon Polly and SSML tags to make your Alexa Skills more expressive, and the Alexa Presentation Language (APL) to handle multimodal input. If you just have content to publish, there’s a course on creating Alexa Flash Briefings. More advanced topics are also covered, including Mocha and Python unit-test frameworks, AWS CLI, the FLASK-ASK framework, and Account Linking. You can also learn to connect web applications to your voice app using Amazon Cognito and AWS IoT, in order to control a Raspberry Pi 3. There’s even a course on the Jovo Framework, which allows you to code an app once, and publish it to both Amazon Alexa and Google Assistant at the same time. If you want to start creating your own custom skills for Alexa devices including the Amazon Echo and Echo Dot, these fun and affordable courses will show you how. These courses cover all the basics of how to build custom Google Actions, teaching you how to use NodeJS, DialogFlow and Firebase like a pro. You’ll learn about the core technology such as serverless architecture, realtime databases, and calling web services (external APIs) in your Actions. You’ll also explore design topics such as how to use cards, media controls, carousels and follow up intents in DialogFlow, and how to use SSML to add expressivity to your new conversational app. Advanced topics include integrating your DialogFlow apps with Facebook Messenger, to make a chatbot, and controlling a Raspberry Pi 3 with your Google Assistant! These courses show you step-by-step how to build, test and deploy your Google Actions, so you can easily turn your ideas into reality. 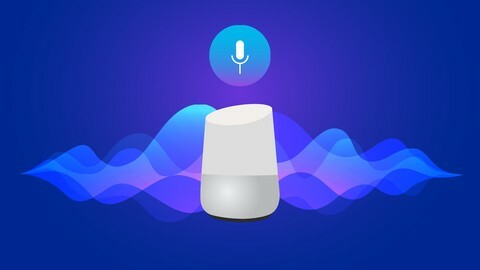 If you want to start creating your own custom skills for Google Assistant powered devices, including the Google Home, Google Home Mini and Android smartphones, these fun and affordable courses will show you how. These courses cover all the basics of how to build custom Siri-powered apps for iOS 12. You will learn how to use SiriKit, which enables iOS apps and watchOS apps to work with Siri. You will also learn about Siri Shortcuts, which allows users to perform complex tasks by simply asking Siri. Implementing SiriKit and Siri Shortcuts requires some knowledge of how to develop iOS apps, so these courses teach you how to program apps in Swift 4 for iOS 12 using Xcode 10. They cover Firebase & Cloud Firestore, accessing external APIs, mastering HTTP and networking, app design and storyboards, and more. More advanced topics include Core ML 2, so you can add machine learning to your apps; ARKit 2, so you can build augmented reality apps; and even the new Dark Mode. iMessage apps, rich media user notifications, and speech transcription are found in some courses too. You will build many exciting projects in these courses, including a Rich Media Photo Album using voice transcription and search functionality, a Group Scheduling app that integrates with Messages, and a Ride-Sharing app that integrates with SiriKit for voice activation. If you want to start creating your own custom Siri apps with SiriKit for Apple devices, including the Apple HomePod smart speaker and the Apple iPhone, these fun and affordable courses will show you how. 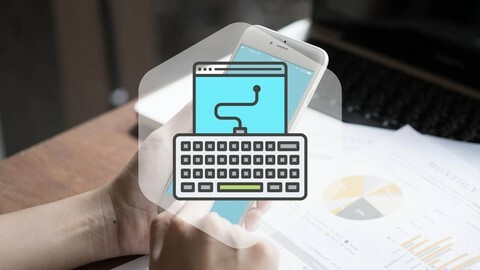 These courses cover all the basics of how to build custom conversational user interfaces (CUIs), starting with solutions that require no programming skills at all, such as Google’s DialogFlow, and Chatfuel where you can build chatbots for free. Intermediate programmers can learn to build more advanced bots using Motion.ai, Wit.AI and DialogFlow, and how to upgrade them with NodeJS, APIs and databases. Advanced developers who are interested in machine learning to achieve state-of-the-art results can take the course on deep learning and Natural Language Processing (NLP), which teaches you to train sequence models using Python and Tensorflow. These courses take you through the entire process from end-to-end, from the design of your bot right though to how to publish your chatbot. You can learn deploy your chatbot on the Facebook Messenger Platform, Skype, WhatsApp, on cloud platforms such as Heroku, and build and deploy serverless webhooks on AWS Lambda. They also cover how to market your bot, both organically and via Facebook advertising. 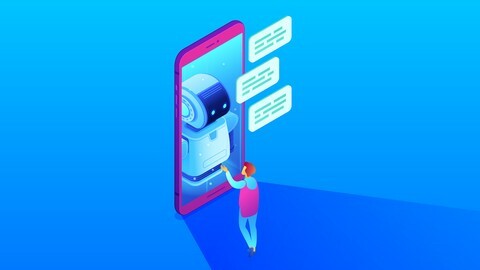 If you want to start creating your own custom chatbots for Facebook Messenger, mobile apps and websites, these fun and affordable courses will show you how.